The mailer if got the other day got me to wondering what the voter registration process is. 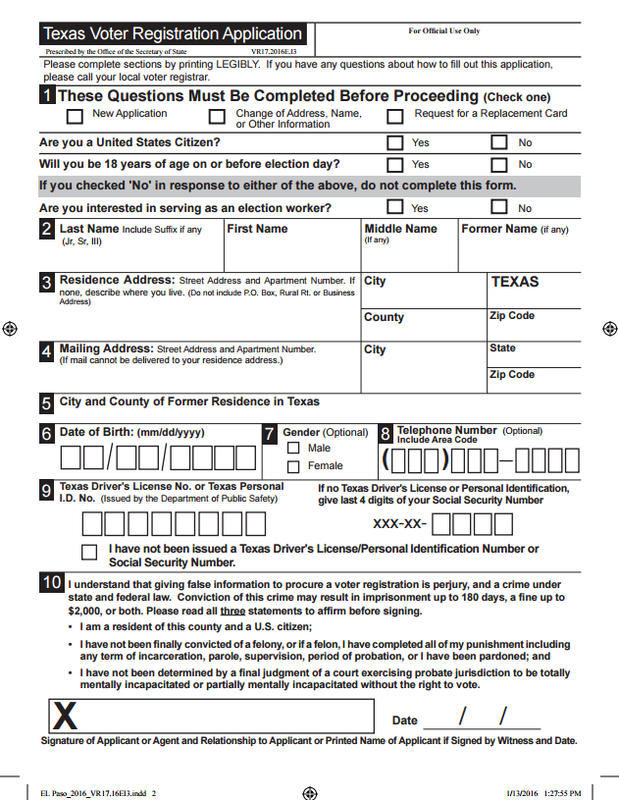 Note that the application does not even ask where you were born or when you were naturalized. This entry was posted on Wednesday, November 9th, 2016 at 5:00 AM and is filed under State Government. You can follow any responses to this entry through the RSS 2.0 feed. You can leave a response, or trackback from your own site. Hey doncha know that is discrimination! You have to have a picture ID to get a library card but not to vote.